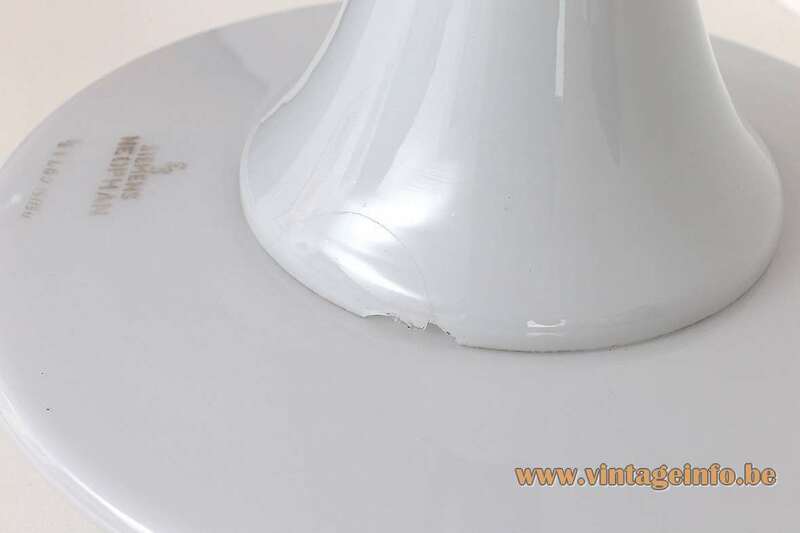 Materials: White/opaque glass. Nickel-Plated metal (iron). 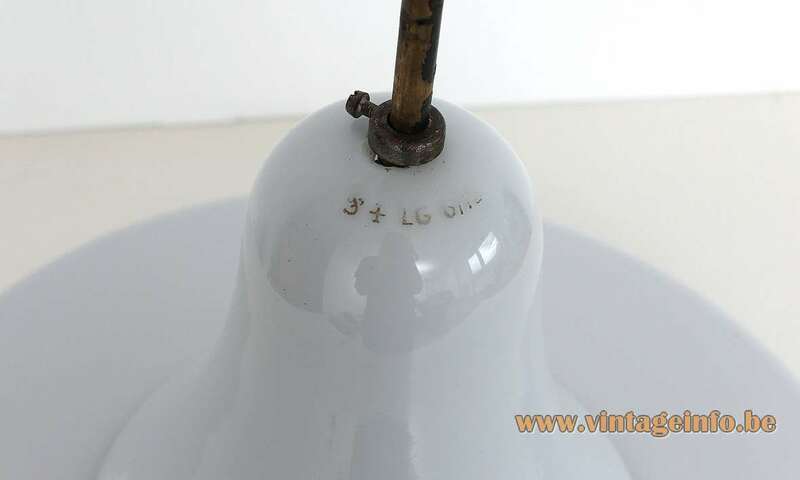 Brass and metal parts, brass socket. 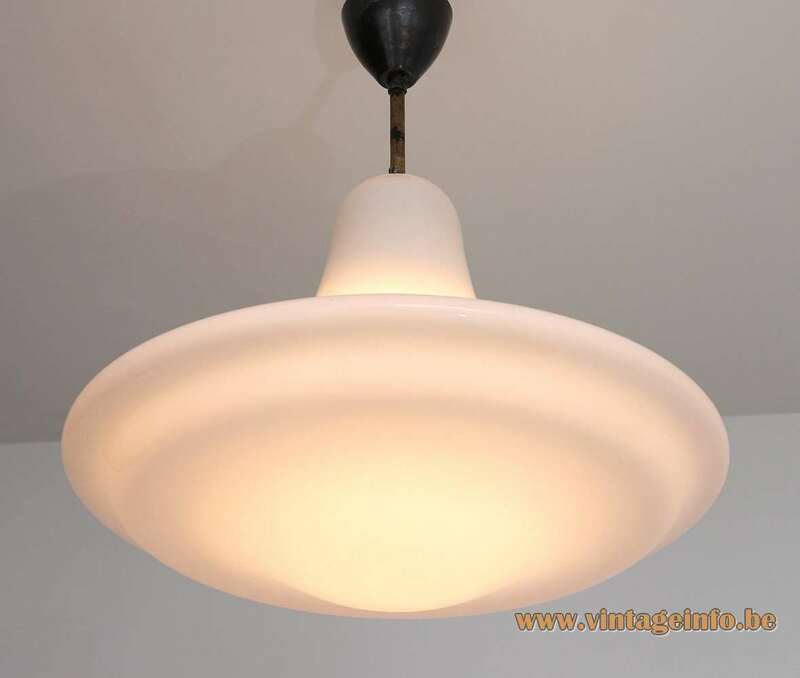 Other versions: This pendant lamp is model nr. JL13r5NI. The version of ∅ 50 cm / 19.68” is model nr. JL14gr5NI. Also the glass parts have numbers for easy replacement. 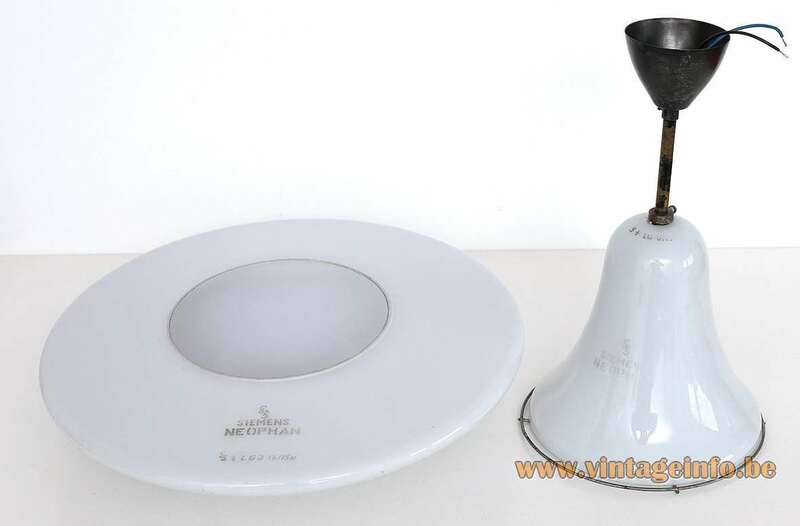 The Neophan was a whole range of lamps in several different models. 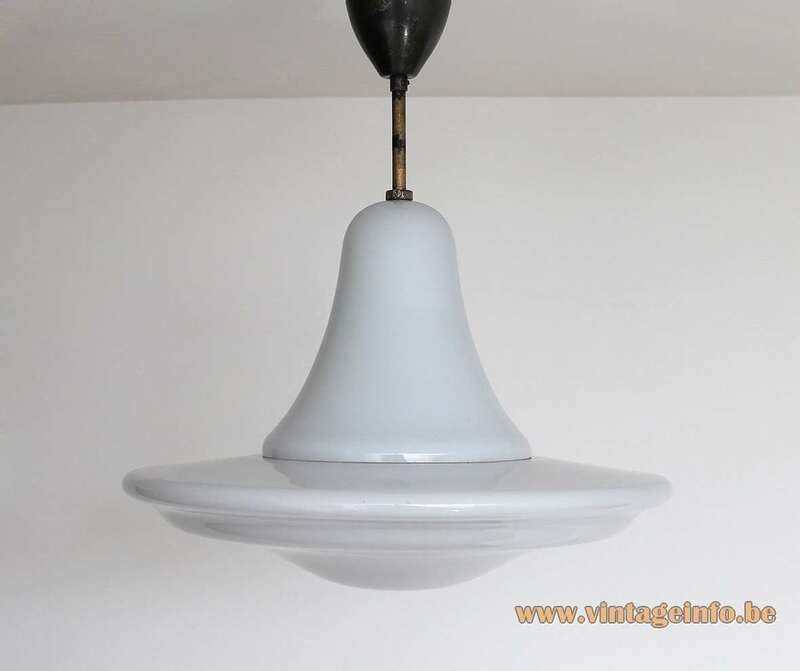 Wall lamps, ceiling lamps and pendant lamps. 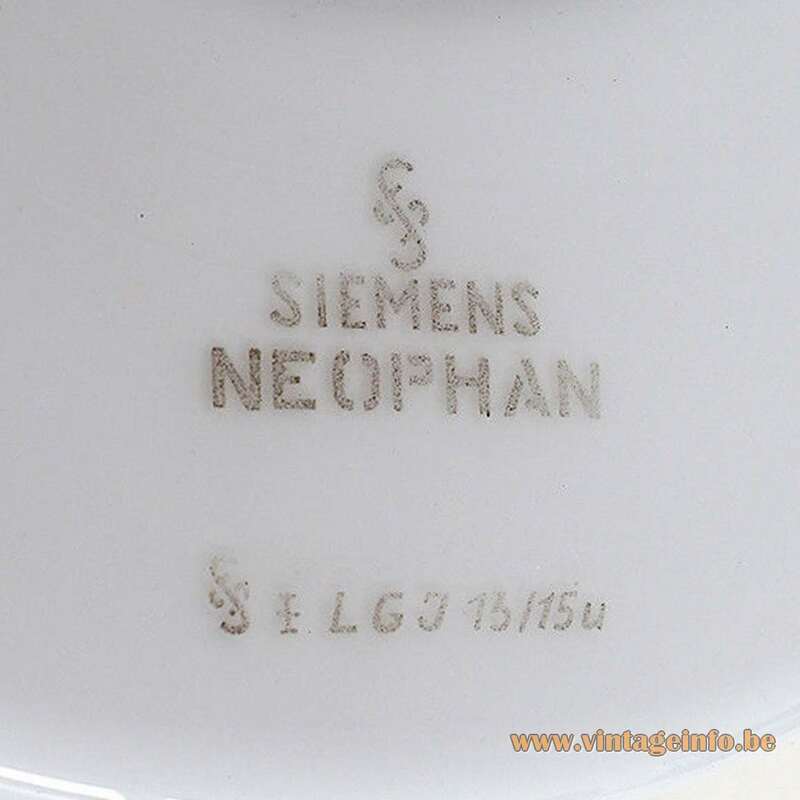 Neophan was also the name of a German brand that produced glasses for the Luftwaffe, the German air force. It was the equivalent of Rayban in Germany during the Third Reich. They made all kinds of optical lenses, sunglasses, goggles and eye protective devices. 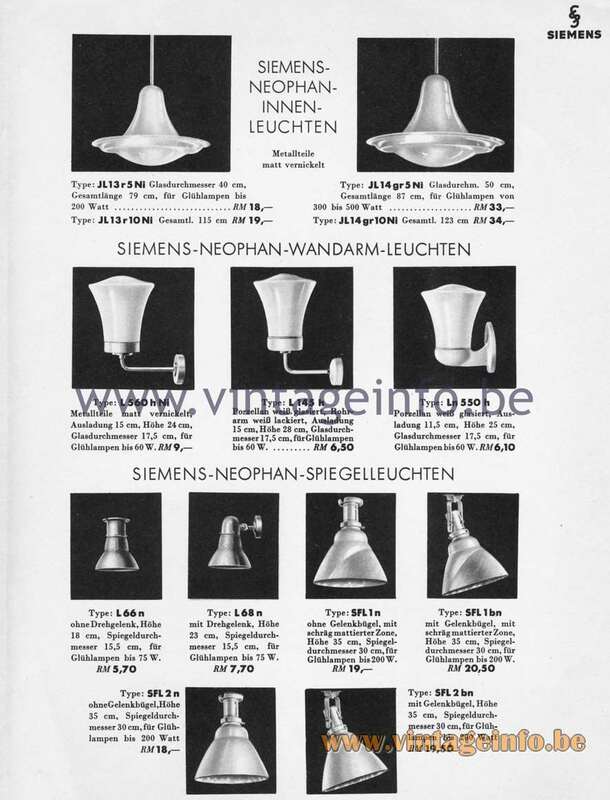 He also designed the Luzette pendant lamp and several other lamps for Siemens. Peter Behrens died in Berlin on 27 February 1940. Many hours of the day must see our eyes in artificial light. The most common and perfect artificial light source is the electric light bulb. Their spectrum contains essentially all the colors of daylight, but quantitatively in a different composition. In particular, the proportion of yellow and red light rays is greater than in daylight. Since the human eye is most sensitive to the yellow rays of light, all colors in the incandescent light appear to be at a disadvantage in favor of the yellow color component. 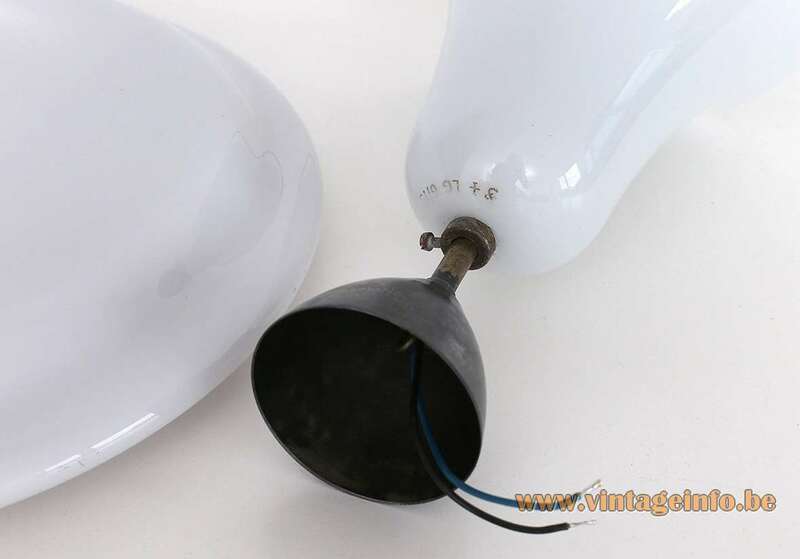 This impairment of the color effect can be avoided if we let incandescent lamps out of the novel, because the special glass of these lights contains, among other things, an addition of neodymium oxide, which partially absorbs the excess of yellow incandescent light. All other color components of the light bulb spectrum, on the other hand, are not influenced. In the light of the Siemens Neophan lights, the eye sees again the colors in their naturally bright freshness.The light is therefore not colored by filters, but its beautifying effect is based on an increase in color saturation by absorbing the disturbing yellow content. Externally, the Siemens Neophan interior lights differ from the normal opal glass luminaires only in their architecturally beautiful form, which, however, has nothing to do with the color effect itself. 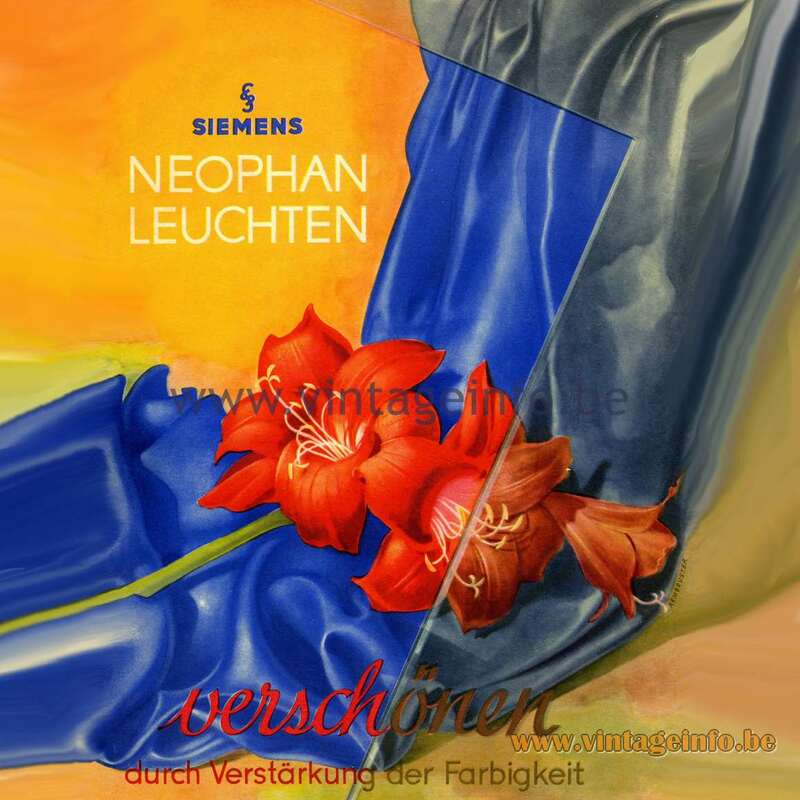 Coloured objects, foods, fruits, goods of all kinds, and even the color tones of human skin, are enhanced by the color contrasts in the light of the Siemens Neophan lights. 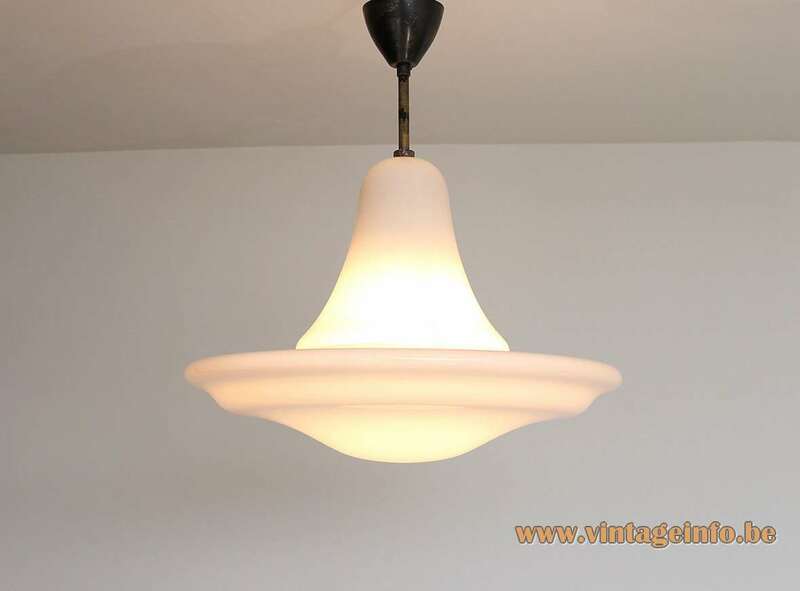 Neophan lights are used as wall and interior lights as well as showcase mirror lights.